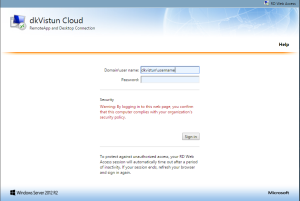 On this page you will find various instructions for dkVistun. If you do not find the answer to the question you have, please feel free to send us a Request and we will answer your question as soon as possible. 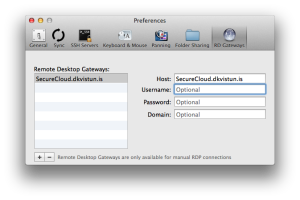 For your work- or personal computer, we strongly recommend that you set up dkVistun access and follow the instructions below for Windows or MAC, as applicable. 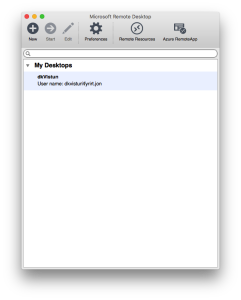 If you need to access dkVistun from any other computer, for example. Computer as a friend or acquaintance on or public computer, e.g. In a cafe or the like, we recommend that you connect to dkVistun using a website, according to the instructions below. 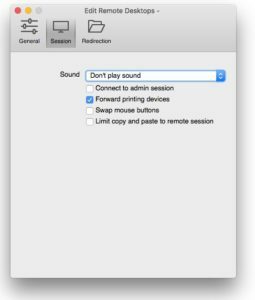 Instructions for installing a remote desktop connection for Windows computers, Mac computers / tablets, and connection from a website. 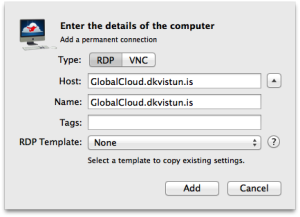 You must start installing a Thinprint print application on a computer, and then installing your own connection to dkVistun. Follow the instructions below. No further installation is required. 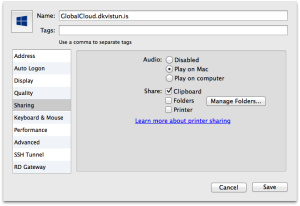 To be able to print from dkVistun, install Thinprint software that connects to a printer. Select either 64bit or 32bit installation according to Windows version. You can configure a printer that is transferred to dkVistun by going to ThinPrint. 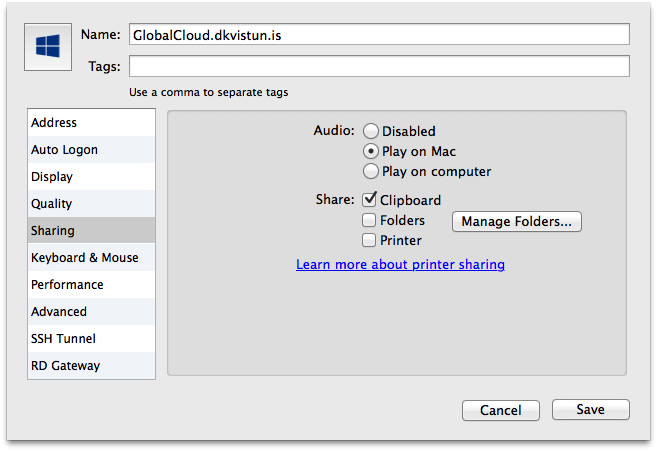 In the Setup tab, you can select default printer for dkVistun. In the Assignment you can choose which printer to take to dkVistun. It is recommended that you only check the printer that is used for dkVistun as it may take a long time to take multiple printers. After installation, it is important to restore the computer to which the Thinprint software is installed. You can establish the connection to dkVistun through the Control Panel. 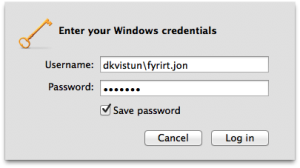 Please note that with this profile, a password is always saved in the connection. Therefore, never go this way on public computers. Installation can be found in Control Panel. 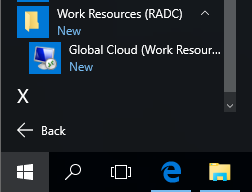 There must be RemoteApp and Desktop Connection. 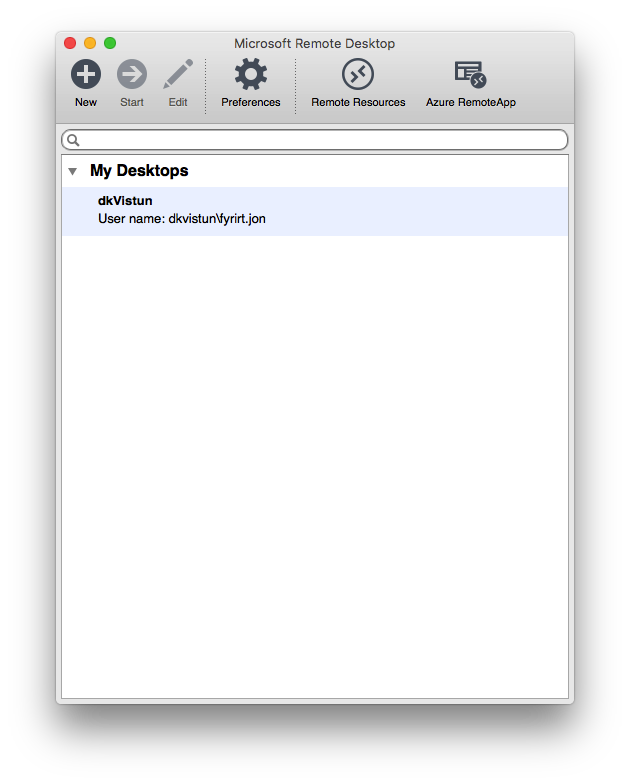 Click on Access RemoteApp and Desktop. Next, you must enter your username and password. Now the connection is established. 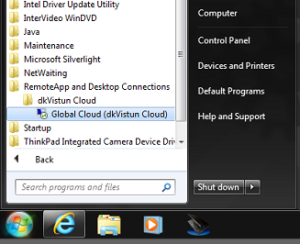 In order to create a link on a desktop or in „Start Menu“, click „View Resources“. You can also access the connection in the Apps Menu. There you can also right click and select „Pin to start“. 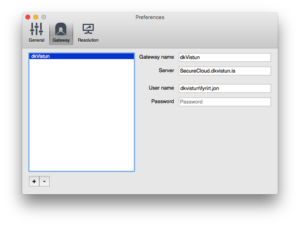 Now dkVistun should be ready for use. We offer two different layouts to Mac’s print programs. On the one hand, we offer EasyPrint through Microsoft Remote Desktop. This is a simple print solution that supports poorly, for example. Wholesale sales of sales invoices. 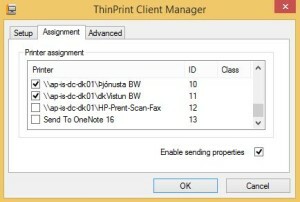 However, we offer ThinPrint through Jump Desktop. This is a more developed solution that supports better number / specialized printing. ThinPrint is only supported by Jump Desktop, but it can be purchased in the App Store. 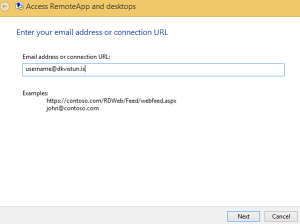 Select either Microsoft Remote Desktop or Jump Desktop installation and follow the instructions below. 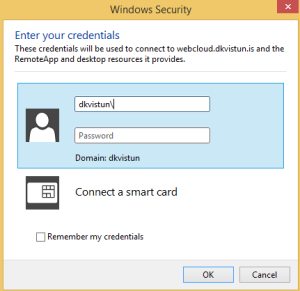 Start the Microsoft Remote Desktop application that you can find in App Store. 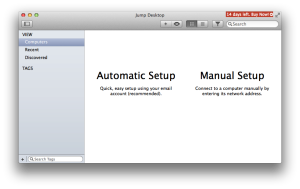 When installation is complete, open the application and click New to create a connection. Gateway: Click „Add new gateway“ (see next image). User information is inserted below. Next, click on the „Session“ tab and tick „Forward printing devices“ to take a printer through Easy Print. 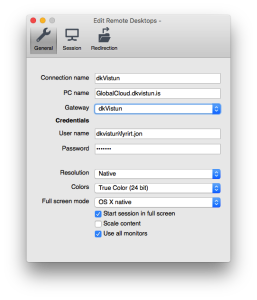 When installation is complete, there will be a link that is clicked to connect to dkVistun. 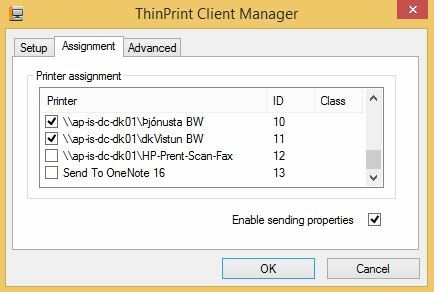 To begin with you need to start installing ThinPrint, which takes care of transferring a printer to dkVistun, please download it below. 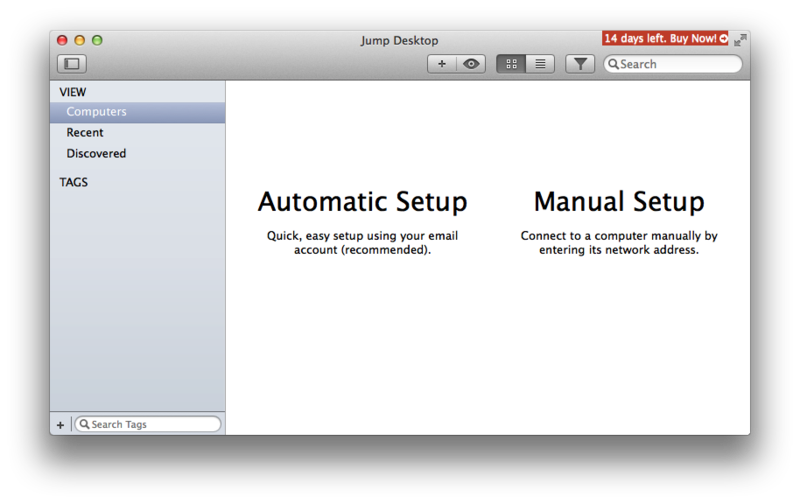 Next, you need to install the Jump Desktop application, which you can find in App Store. 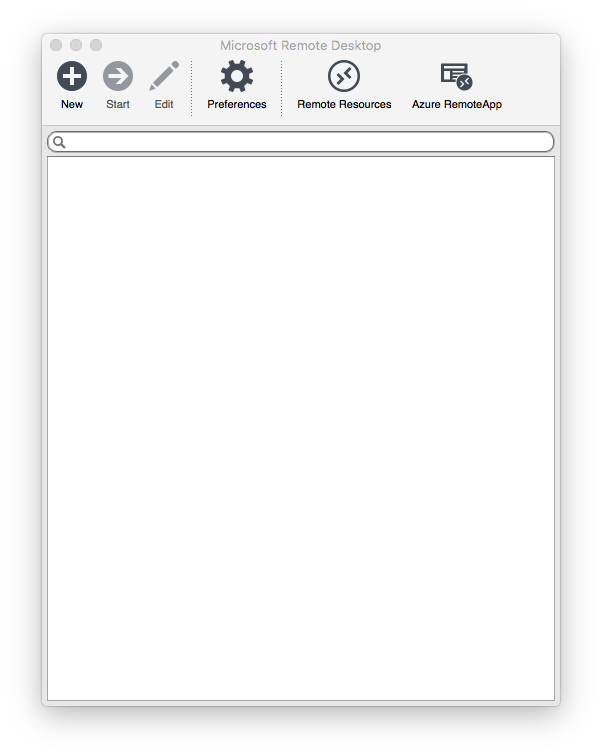 When installation is complete, open the application and click the plus button on the toolbar to establish a connection. 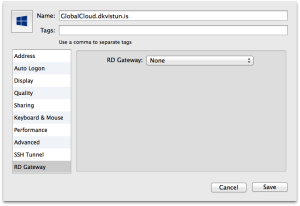 There must be a host: GlobalCloud.dkvistun.is and click „Add„. 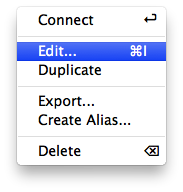 You need to right click on the connection and select“Edit„. 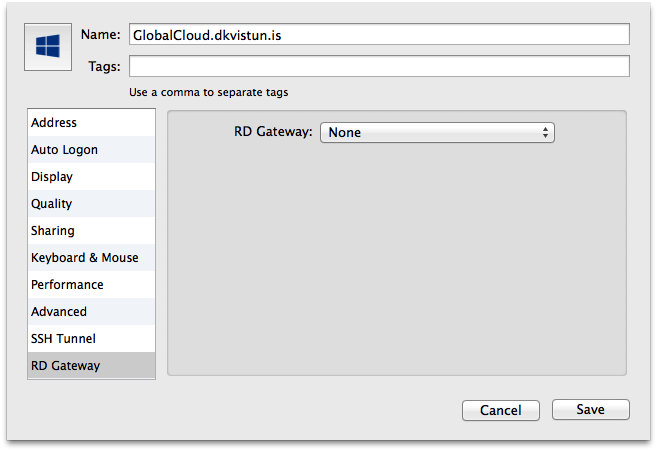 Once installed, add RD Gateway, located at the bottom of the left side bar. There is no need to enter userinformation here. Now the connection should be installed and ready. In the first connection, you must enter a username and password with „dkVistun\“ in front of the image shown below. This installation is further intended for temporary use, e.g. On a shared computer. Please enter your username and password. You must enter „dkVistun \“ in front of the username. After login you will see the connections that are accessible to this user. Next, click on the link to link, for example. 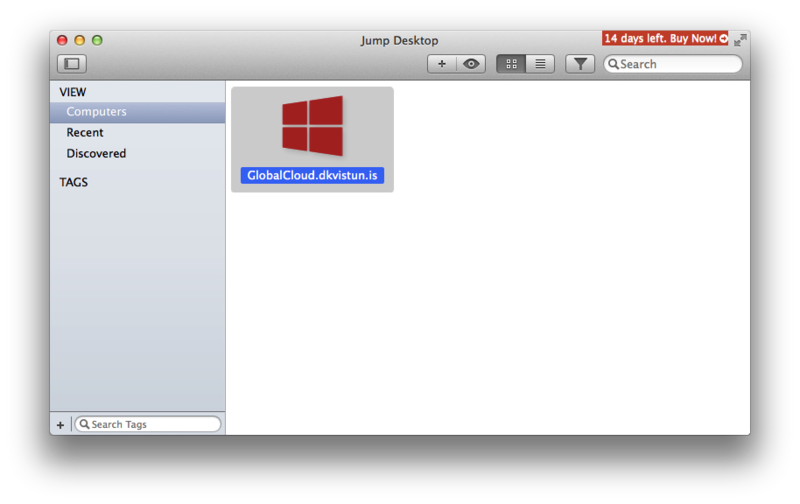 Global Cloud. 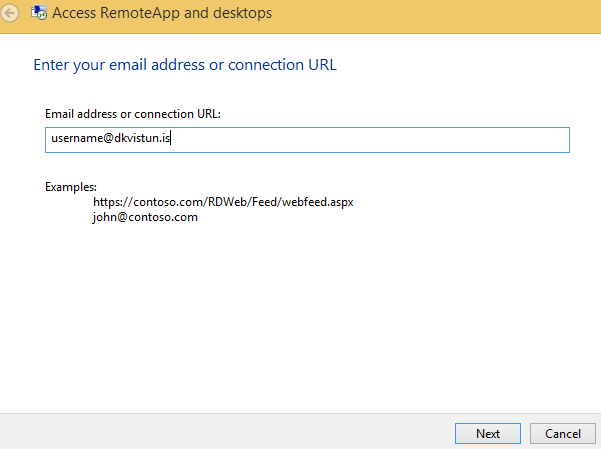 In Internet Explorer will automatically connect. 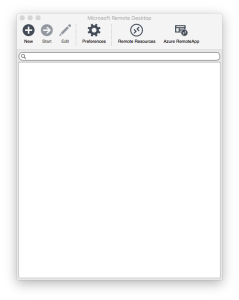 Other browsers (e.g., Chrome or Firefox) download a file to click on to connect and re-enter user information.